I’ve been studying for exams for the past couple weeks. And therefore, my procrastination levels have been off the charts. One thing that I love to do to waste time is to look at recipes, of course. But this time around, I have been looking at my blog and the recipes that I have posted. Not because I have time to make anything at the moment (although that would be another brilliant procrastination technique), but to check to see what I haven’t made. 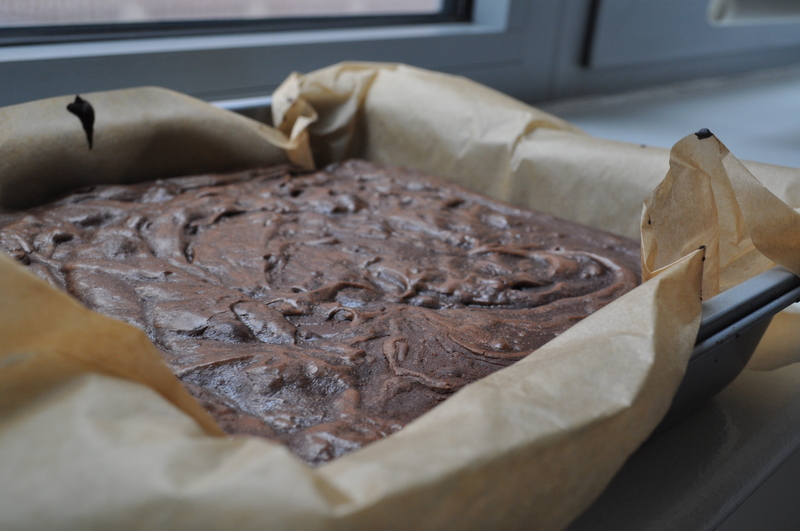 It turns out that it was brownies! Sure, I’ve made white chocolate brownies, and I’ve made brownie-like things before. But never the square piece with the crispy edge and fudgy center and all chocolate goodness. 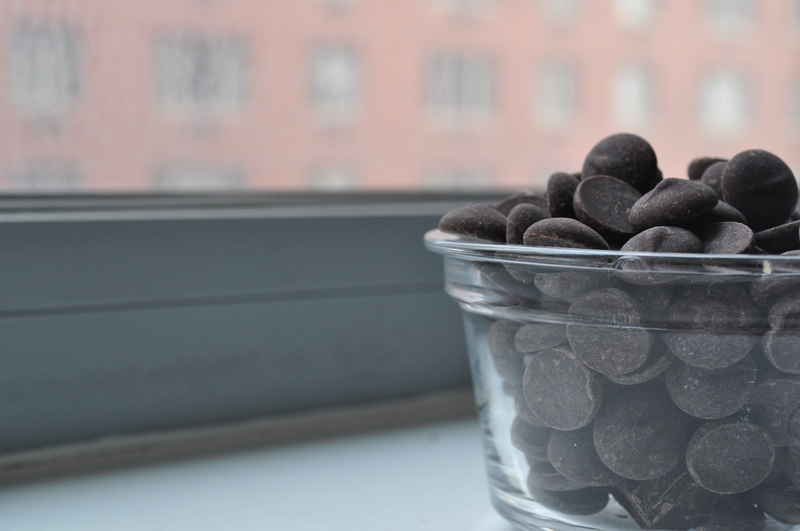 Another thing that jumped out is the number of times that I have said that I don’t like really chocolatey things. I mean, did you believe me? Because, I sure didn’t. 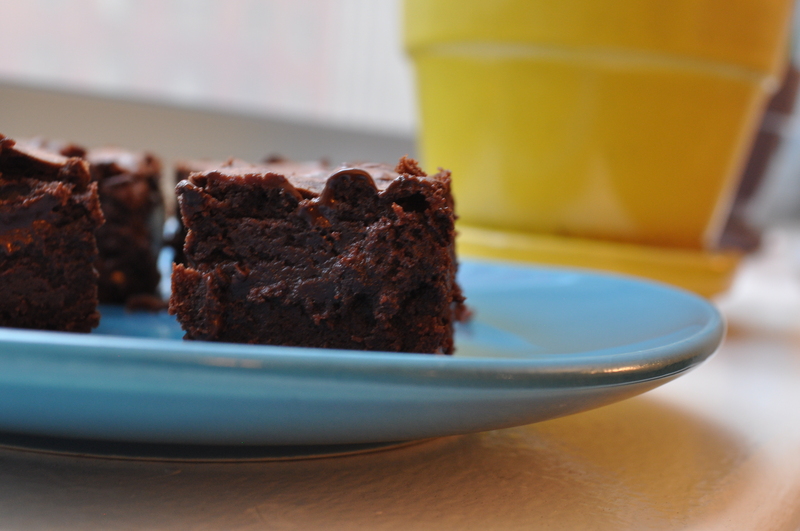 And I don’t now, while I present to you the most chocolatey and gooey brownies imaginable. And believe me when I say that really, truly enjoyed these. And because I always want you to make more friends, put a plate of these beauties in front of any student studying for finals, and you will be loved. Seriously, try it. I’m sorry that I have been lying to you for these years. I will never turn down a intense chocolate desserts for, well, anything. The truth was bound to come out at some point. Preheat oven to 350. Line a square baking dish (8×8) with parchment paper, with some hanging over the edge of the pan. Spray with parchment paper with cooking spray. In the microwave, in 30 second intervals, or in a double boiler, melt together the two types of chocolate and butter until smooth. Set aside to cool slightly. Whisk together eggs, sugar, salt, vanilla, and espresso powder. 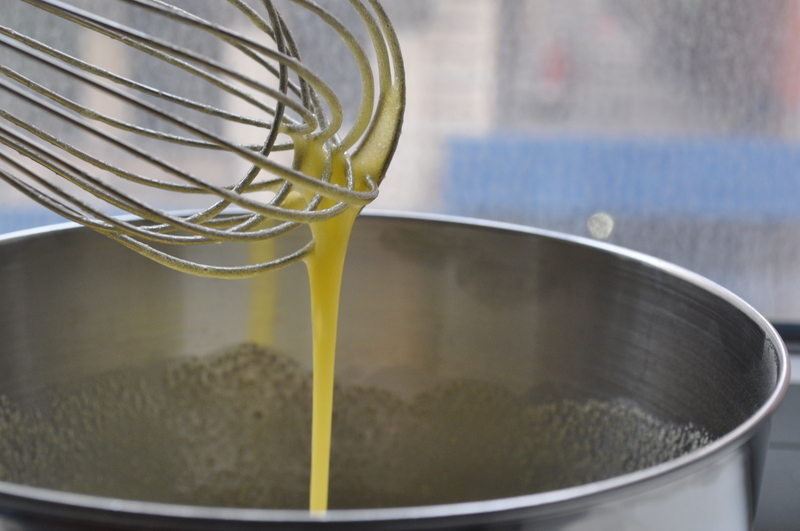 Beat vigorously, by hand, for about 3-5 minutes, until the egg yolks are pale and ribbon-like. 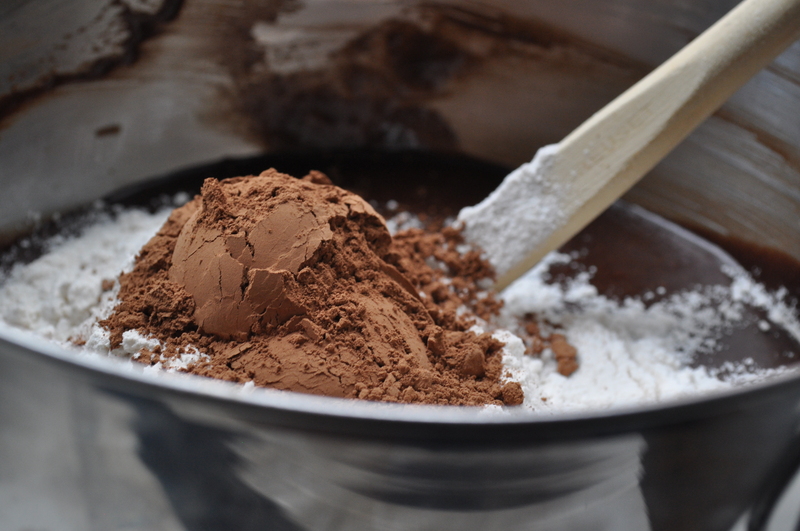 Stir in chocolate mixture. Sprinkle flour and cocoa on top, and stir in the dry ingredients until just incorporated. Pour into prepared pan, and bake for 25-28 minutes. Do not overbake for maximum fudginess. Let cool completely in pan. Life out with parchment paper and cut into squares. This entry was posted on	May 22, 2014 at 8:38 am	and is filed under Uncategorized.